Joining the CWRF Ardent Mills Ultragrain® Premium Program is easy and it provides premium pricing for popular PlainsGold hard white winter wheat varieties. There are three PlainsGold hard white winter wheat varieties eligible for the program: PlainsGold Snowmass, PlainsGold Sunshine, PlainsGold Breck and PlainsGold Thunder CL. The varieties combine good to excellent milling and baking qualities with good yields, stress tolerance, test weight and disease resistance. Take a closer look at each of these varieties to select the best fit for your operation. Once you have harvested your wheat crop, complete the program by delivering your qualifying wheat crop to the delivery point in Colorado, Kansas or Nebraska as listed on your grain pricing schedule. 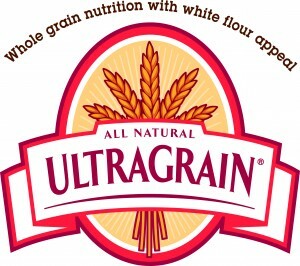 Consumers are choosing whole-wheat products made from hard white wheat to get the healthy benefits of whole grains with a milder flavor, which appeals to many accustomed to the taste of refined flour. Now High Plains farmers have more options to compete in this growing marketplace while getting premium prices for their wheat crop. You can earn up to $1.00 more per bushel when you grow PlainsGold hard white winter wheat varieties through the CWRF Ardent Mills Ultragrain® Premium Program.